The needs of disabled people in the information society have, in many respects, not been fully catered for as technology advances. This means that disabled people can become disenfranchised and risk social isolation. Whilst legislation exists to enable inclusion, this often leads to a minimum viable product scenario where the letter of the law is met but not the spirit. This can result in accessible products and services that are not really usable by disabled people. This chapter demonstrates that the needs of disabled people can be included in mainstream digital and technological solutions, avoiding a ‘race to the bottom’ or building niche solutions for separate user groups. 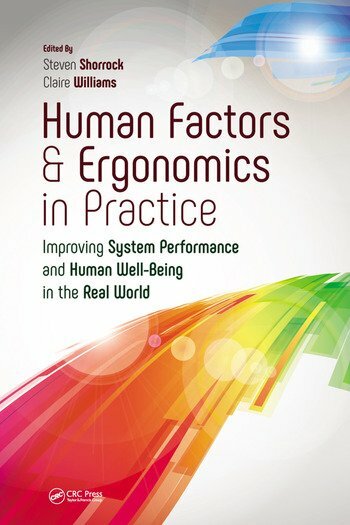 One example and one case study are discussed to provide insight for human factors and ergonomics (HF/E) practitioners to help demonstrate that disabled people can and should be considered within a user-centred design process and not as a group outside the norm and or excluded. “The World Health Organisation estimates that 15% of the world’s population live with some form of disability, and state that rates of disability are increasing…Europe, North America and some parts of South East Asia have populations that are ageing. This entry was posted in Part 3: Domain-specific issues and tagged accessibility, design, disability, legislation, product design, standards. Bookmark the permalink.